The air has not cooled off here yet, but I am already dreaming of Halloween! 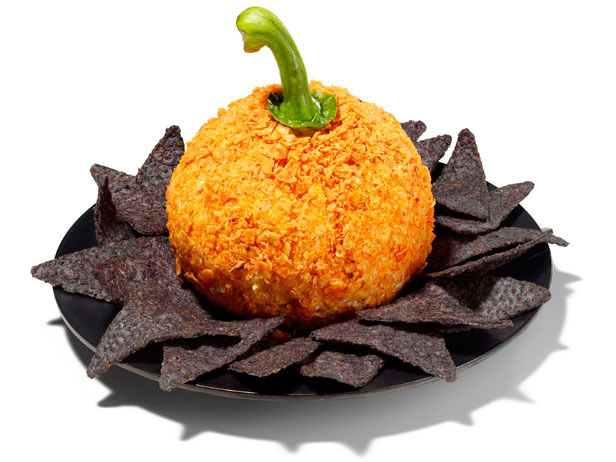 And first thing on my to do list to try is this pumpkin cheese ball! I am not usually a big fan of cheese balls, but this one is mostly cream cheese and salsa, which is a combo I do love. Add the nacho cheese tortilla chips for the outside coating and the bell pepper top for the stem and you have the perfect Halloween party appetizer. You can get all the details on this pumpkin cheese ball recipe over at Food Network.